Secrets to erasing circles, pumping up lashes, and making your eyes pop like never before. Maybe it's the insomnia talking, but when it comes to unsolicited personal comments, "You look tired," ranks high on our hate list. After all, a little fluid retention can make even big eyes look squinty and an otherwise gorgeous face haggard. Pair that sign of sleepiness with bleariness, dark circles, or crow's feet, and suddenly the young can seem old beyond their years. The upside: The more you know about your eyes, the easier it is to keep them sparkly. Some smart (and totally doable) lifestyle tweaks, along with a few ingenious makeup tricks, can transform zombie-esque moments into bright-eyed perfection. Every morning, use an anti-aging eye cream or serum that targets your major eye issues. Crow's feet? Opt for a lightweight formula that combines antioxidants, which fend off environmental free-radical damage, with skin-firming peptides. Dark circles? Go for ingredients that fade shadows (like niacinamide and mulberry root), and light reflectors to brighten. Try Erno Laszlo Luminous Eye Complex ($65; ernolaszlo.com). If you've got dryness, check the ingredient list for hyaluronic acid, a moisturizer that holds 1,000 times its weight in water. Or find a cream that does all of the above. We like Neutrogena Ageless Intensives Anti-Wrinkle Deep Wrinkle Eye Cream ($19; mass retailers). To keep the whites of your eyes bright and protect the thin surrounding skin from sun damage, wear large-frame, UV-protective sunglasses whenever you're outside, advises Sophie Bakri, MD, an ophthalmologist at the Mayo Clinic in Rochester, Minnesota. "Over time, excessive sun and wind exposure can cause the whites of the eyes to yellow due to damage of the DNA in the cells," she says. 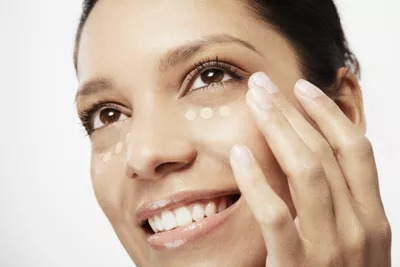 Likewise, when you apply your daily SPF moisturizer or sunscreen, don't forget to smooth a little around your eyes, says New York/Miami dermatologist Fredric Brandt, MD: "Mineral sunscreens work best. They tend to not burn if you perspire and they get in your eyes." Or try a for-eyes-only option, like Shiseido Sun Protection Eye Cream SPF 32 ($33; shiseido.com). Sleep on your back with your head slightly elevated on a firm pillow, says Dr. Brandt, to help prevent fluid from pooling around eyes. A skin-tightening cream with caffeineówhich helps constrict blood vesselsocan also deflate under-eye puffs and minimize shadows. Use it night or day before applying your facial moisturizer. 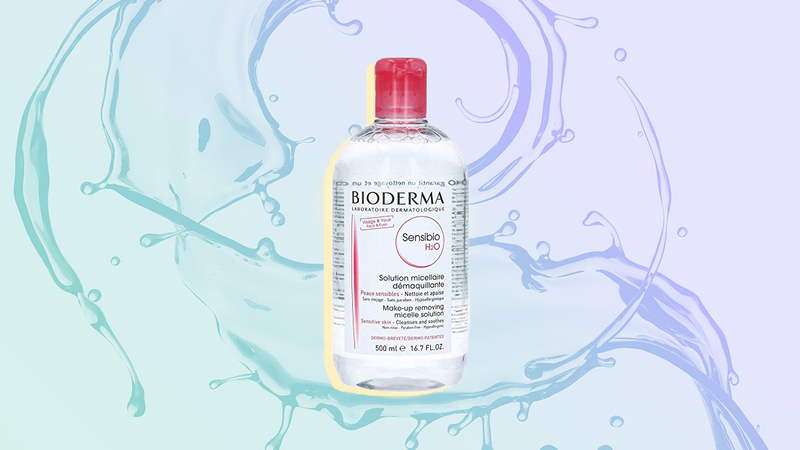 Our favorite versions come with skin-cooling applicators, perfect for massaging away swelling. Apply a retinoid treatment at night. "It's the next-best anti-aging ingredient after sunscreen," says Dr. Brandt. "Retinoids amp up production of collagen and elastin to make skin firmer and healthier, minimizing fine lines and shadows in the process." Skin around eyes is sensitive, so dilute your regular facial retinol product with some night cream and dab it on, avoiding lids. A recent study at the University of Maryland found that people with bloodshot eyes are viewed as sadder, unhealthier, and less attractive than people with brighter eye whites. "Soothe red, dry eyes with artificial tearsthat will keep them looking fresh," says Dr. Bakri, who recommends preservative-free OTC versions. Take off contact lenses as soon as you get home from work, and never sleep in them. "Over-wear can deprive eyes of oxygen and cause visible capillaries to form," says Dr. Bakri. Reserve eyedrops that promise to remove redness for special occasions. Used too often, they can have a rebound effect and leave eyes more bloodshot. 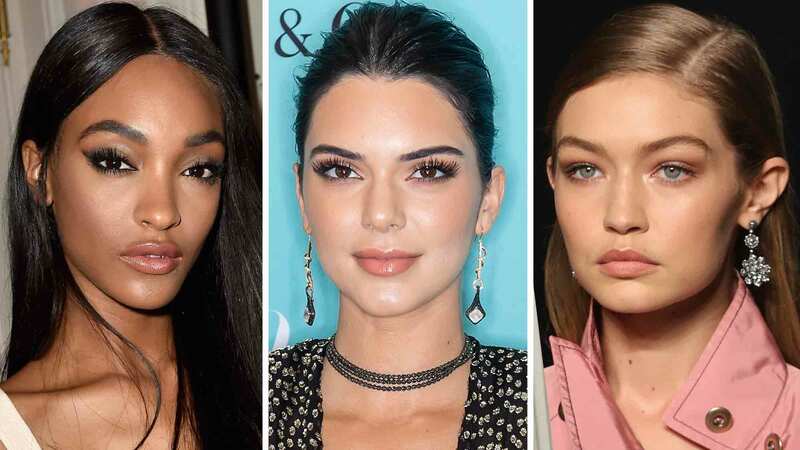 It's not for everyone, but if sagging eyelids are your bete noire, strategically placed injections of Botox (or Xeomin or Dysport) can be an instant lifter, Dr. Marmur says. Bonus: Injections can also help smooth lines and take effect in a day or two. They last three to four months, and cost about $300 to $400. Want more subtle firming right now? A cream with fortifying peptides and slippery dimethicone will give skin a suddenly smooth feel. Try Clarins Instant Smooth Line Correcting Concentrate ($33; clarins.com). Skimpy lashes make your eyes look smaller, and unfortunately, lashes do get thinner and sparser with age. Protect your fringe with conditioning mascaras and gentle eye-makeup removers. Or try the Rx lash-grower Latisse, says Dr. Marmur: "Many of my patients who use it actually have to trim their lashes."